SW Flange (Socket Weld Flange) contain a shoulder on the inside of the flange that acts as a guide to set the depth at which the pipe is welded to the flange. They are fabricated by inserting the pipe end into the flange until it bottoms out against the shoulder, and then retracting the pipe 1/8 in before welding it in place. This practice was originally employed to reduce cracking due to thermal stresses in stainless steel superheaters, but over the years has become standard practice for the installation of all socket weld flanges (SW Flange). 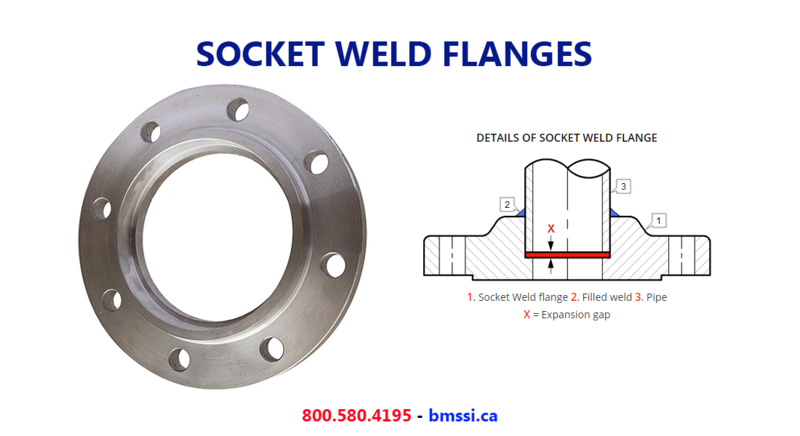 Socket Weld Flanges are available in pressure from 150# and up and pipe schedule 40 to schedule 160. Specifying the pipe schedule ensures that ID of the SW Flange matches the ID of pipe for smooth fluid flow. Trupply offers SW Flange in A105N, A105, SS316, SS304, A20, High Yield & Nickel Alloys. Email sales@trupply.com for all your flange buying needs. Socket Weld flanges were initially developed for use on small-size high pressure piping. Their static strength is equal to Slip On flanges, but their fatigue strength 50% greater than double-welded Slip On flanges. The disadvantage of this flange is right the gap, that must be made. By corrosive products, and mainly in stainless steel pipe systems, the crack between pipe and flange can give corrosion problems. In some processes this flange is also not allowed. I am not an expert in this matter, but on the internet, you will find a lot of information about forms of corrosion. Also for this flange counts, that principle always firstly a pipe must be welded and then just a fitting.